I have a confession to make: I am a 34 year old woman and I am SUPER into unicorns. Does this make me a ridiculous person? I like to think not. At least I’m not into Disney princesses, amiright? ;-) (#nodisrespect) But does it give me pause and lead me to seriously consider whether my affinity for odd coloured makeup and certain trends are suitable in the workplace? It does. 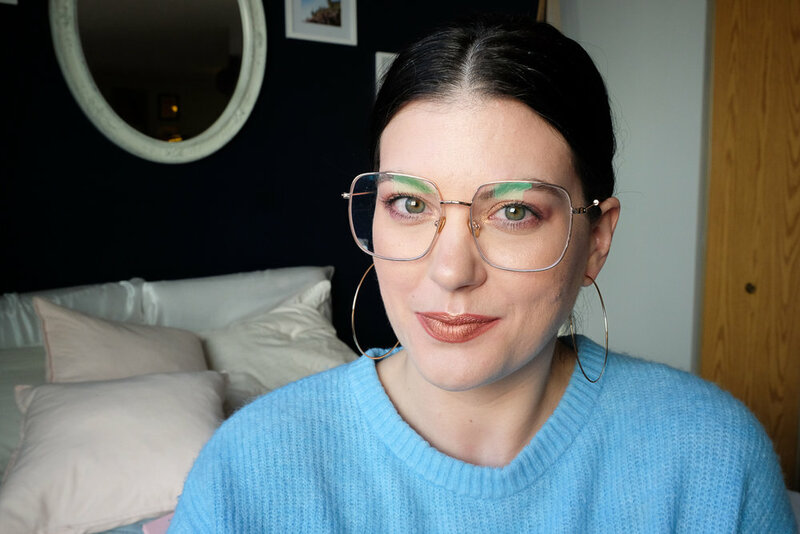 SO, though some days I would like to go to work in a riot of colour and sequins (and some people do and honestly it’s awesome, but I just can’t), I find that colourful makeup is a more subtle way to express my unicorn desires without feeling uncomfortable. I have rocked witchy green lipstick at work but I recognize that not all of us, and certainly not in all situations, can do that. But there’s no reason that we can’t still have some fun! And since my amazing day planner happened to mention to me that National Unicorn Day was coming, so I thought I would take the opportunity to have a little fun. And share that fun with you. And so I bring you to you three very work appropriate unicorn looks - for the grownass woman who doesn’t want to totally give up on fun just yet. To create this look, I took inspiration from cotton candy but in a toned down sense. 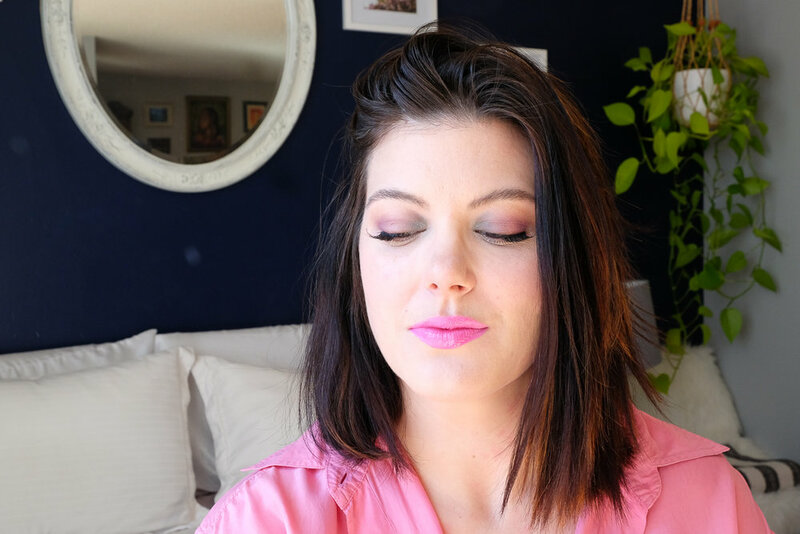 Bubblegum lips were the star (white lip liner underneath Mac’s Pink Pigeon lipstick), and a bit of a unique, layered eye pulled it all together. I used Mac shadow in Living Pink on most of the eye, with a soft blue in the inner corners. I grounded the look with a touch of dark purple eyeliner along the waterline (avoid black to keep a softness!) and some fake lashes! Set with a setting spray - I like NYX in Dewy Finish. If you’re not wearing this to work, and rocking it out instead, consider layering white eyeliner on your entire eyelid under the shadows - my trick for lips AND eyes to make a colour really pop. This one was pretty easy, overall! 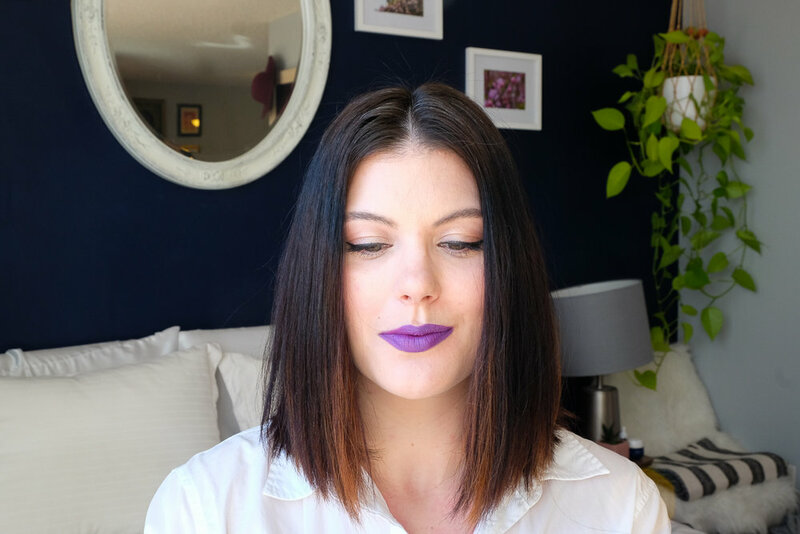 I layered a purple eye liner as a stand in for lip liner under my Mac lipstick in Heroine, which gave the lips a very subtle ombre effect. The eyes are a super soft, shimmery eye shadow in a cream colour (it’s so old the label has rubbed off) and a bold cat eye with a Maybelline liquid liner. Don’t forget to highlight those cheekbones! It will take any severity out of the purple by adding an overall radiance (less emo, you know?) - I like Maybelline’s Master Chrome in Molten Gold. Set with a setting spray! I wanted to GLOW on this one - and I have to admit, this was my favourite look to rock for everyday. I felt like a true unicorn. I layered Fenty Beauty glitter eyeshadows in Meteor Crush (the outer corners to midway on the lid) and Sunburst (over top the pink and all over the entire lid). I wanted to keep the look soft and sparkly, so I went heavy on the mascara but skipped liner or falsies. 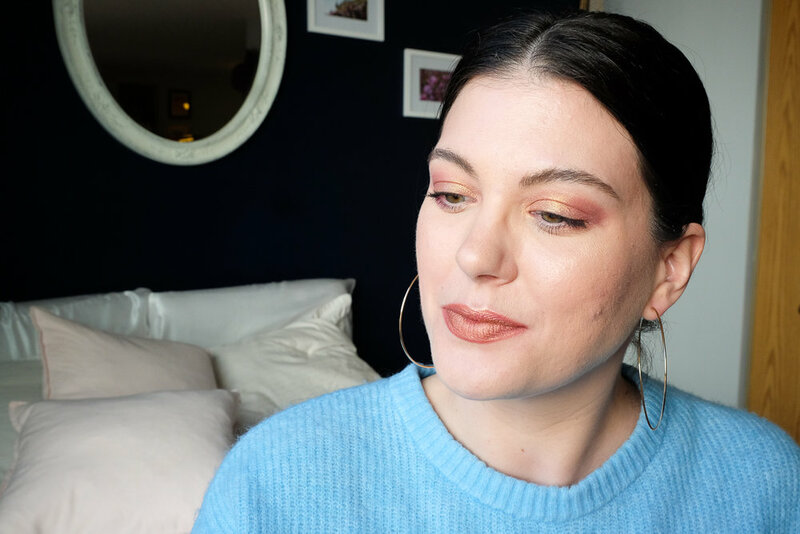 I used my current fave blush, Maybelline’s Fit Me in Peach #40 and then highlighted my cheekbones and t zone (NOT the chin tho) like mad with the Maybelline Master Chrome in Molten Gold. My lips are lined in soft pink, covered in Smashbox’s Always on Metal Petal liquid lipstick, and then I even added a touch of a glimmer gold lippie by Essence called Metal Shock. Set with a setting spray!